How Does BTU Affect My Air Conditioner? Houston HVAC (Home) / Blog / Energy Savings / What is BTU & What Does it Mean for Your AC/Furnace? What is BTU & What Does it Mean for Your AC/Furnace? In your search for a new air conditioning unit or furnace, you may have run across the acronym BTU, and if you are outside the world of heating and cooling jargon, you’re probably unfamiliar with it. BTU stands for British Thermal Unit. British Thermal Units are units of measurement for energy, and these units are used to measure the amount of energy that it takes to raise the temperature of one pound of water by one degree Fahrenheit. In other industries, the joule is used to determine these numbers; however, BTUs are often used when dealing with furnaces and AC units. The amount of BTUs in a particular heating or cooling unit will directly correlate with the cooling and heating capacity of that unit. Using BTU as a measuring stick can help you differentiate the capacities of similar units. Buying a unit with an appropriate BTU for your home can help you maximize the unit’s power to fit your needs. How many BTUs is right for me? The amount of BTUs that is right for your home will depend on the size of your home, your insulation quality, your ceiling height, and numerous other factors. A professional HVAC inspection is a great place to start when figuring out which unit size is right for you. 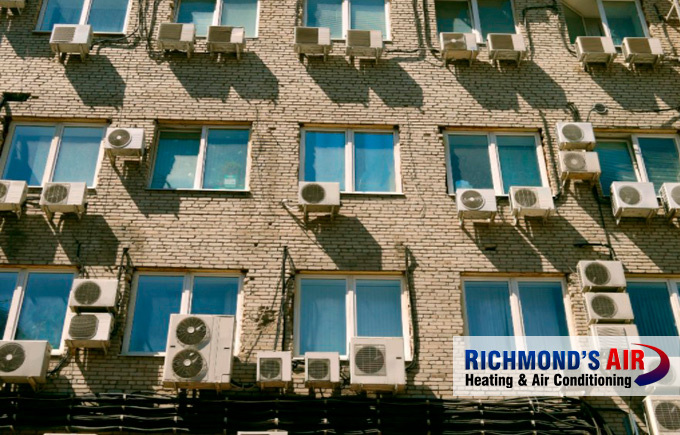 If you’d like to see how your HVAC systems measure up, Richmond’s Air can help. We service all of Houston’s surrounding areas for A/C and heat installation and maintenance.